“There are many Calcuttas in the world,” said Mother Teresa. “Find your Calcutta.” This is one of the many great lessons we can take from Mother Teresa. It’s a call on all of us to find, and pursue, a service we are each passionate about. Rob Shields definitely found his Calcutta. Perhaps it’s ironic that this came after spending eight months as the athletic director at Mother Teresa’s HIV/AIDS orphanage in Ethiopia. That experience working with 500 orphans was the catalyst for Shields’ Sports That Serve. The organization which launched in fall of 2008, aims to create an avenue of athletics to help meet the needs of orphan children in Ethopia, as well underserved children in the U.S. Get all the group’s info at www.sportsthatserve.org. Check out the new 2009 retrospective from Variety of Illinois. The non-profit group is helping to give children with disabilities the freedom and independence to live life and fulfill their roles in society. The effort reaches well beyond Illinois, though. Through a network of 54 chapters in 14 countries, Variety the Children’s Charity reaches into communities across the globe to offer financial assistance and services to children and organizations that serve children with disabilities. 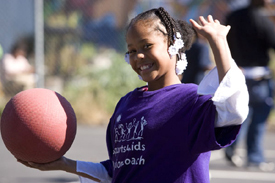 In Canada, there is a social movement powered by people using sports to transform lives. At the heart of True Sport is the simple idea that good sport can make a great difference. In its purest form, youth sports should inspires friendship, learning, health, and personal growth. Check out the video, which features top Canadian athletes including Silken Laumann, Marnie McBean and Steve Nash. Is it Right to Pay a Child for Every Goal Scored? If I was on this plan when I was a kid, I’d be a rich man. I was always better at playing soccer than I was at taking out the garbage and mowing the lawn. While scoring a goal can hardly be considered a chore, it is a source of revenue for one kid. 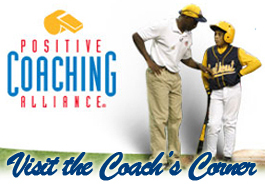 Positive Coaching Alliance, a great organization aim at “transforming youth sports so sports can transform youth,”invites people to submit questions about youth sports. I have a feeling Jerry poses it as a rhetorical question. But let the talk begin. 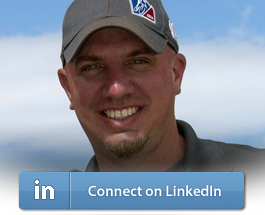 Jump on over to the PCA Web site to catch up on the subject and to chime in with your opinion. Chicago’s NBC 5 profiles The Sports Shed, a growing Illinois-based organization that is distributing sports equipment to non-profit organizations, including Girls in the Game and Mercy Home for Boys, who run sports and fitness programs for youth. The TV news piece throws a bit a curve. What starts as an apparent plug for Play It Again Sports turns into a pitch of an alternative way, and an arguably better way, to dispose of used sports equipment. 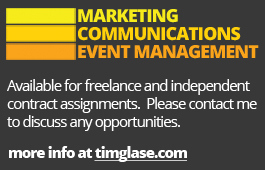 They’re billing it as the “most major event” in their ten-year history, and for good reason. While Life Rolls On will continue to produce unique quality of life programs, including its award-winning, adaptive surfing program, They Will Surf Again, as well as education, motivation and awareness initiatives, the organization will now do so with the leadership of the Christopher & Dana Reeve Foundation. 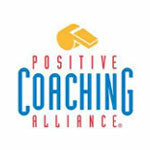 As part of the National Youth Sports Awards Program sponsored by Deloitte, Positive Coaching Alliance now bestows quarterly Honoring the Game Awards to schools and youth sports organizations that embody PCA ideals. The CAN Futbol Foundation is a grassroots, humanitarian organization that uses soccer and education as its vehicle to empower the world’s underprivileged youth. This eight-minute film takes a look at CANFF’s work in Honduras. Golf takes the top this week, with the Mike Weir Foundation being named an official charity of the RBC Canadian Open. Plus, Tiger’s foundation announced a matching donations effort. Also after the jump, bytes on Michael Phelps, Athletics for Kids and reader suggestions from the West Coast. Mike Weir: RBC and the Royal Canadian Golf Association announced the Mike Weir Foundation as a national charity partner for the RBC Canadian Open. The inaugural Mike Weir Charity Classic will be added to the lineup of tournament week activities for the July 20-26 RBC Canadian Open in Ontario.